SUNDAY: Pray for the children and their families who receive a shoe box gift, that hearts will be opened to the Good News of Jesus Christ. 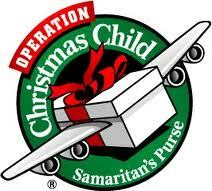 MONDAY: Most children who receive shoe box gifts live in desperate circumstances. Pray that God will meet their physical, emotional and spiritual needs. TUESDAY: Pray for our ministry partners in countries around the world, especially that the shoe box gifts and follow-up discipleship programs will be effective evangelism tools. 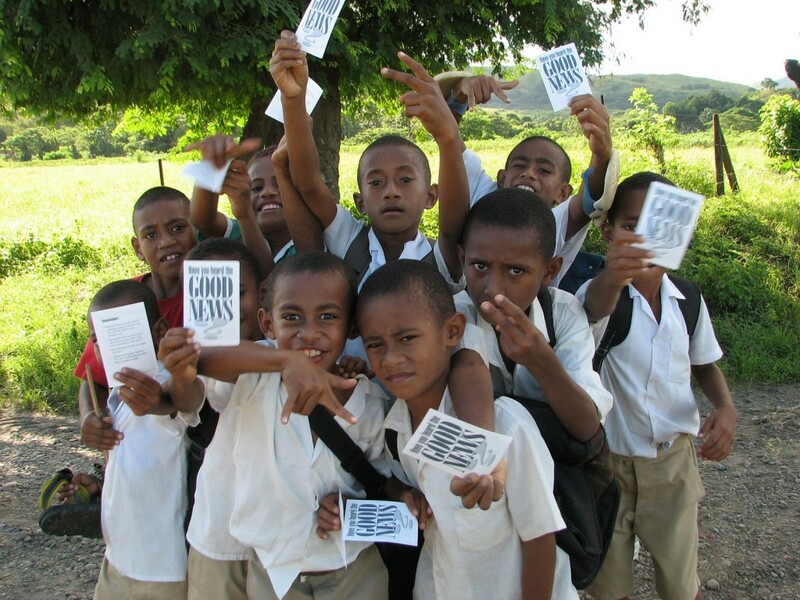 WEDNESDAY: Pray that doors will be opened, so the Good News can be shared in countries that are you not receptive to the Gospel of Jesus Christ. THURSDAY: Pray for those who fill shoe box gifts this year, especially for children, that they will see that it truly is more blessed to give than to receive. FRIDAY: Pray for those involved in collecting, processing, transporting and delivering shoe box gifts, including the tens of thousands of volunteers. SATURDAY: Pray for Samaritan’s Purse staff located throughout the world as they handle the logistics of Operation Christmas Child. Being in Ireland never gets old for me; God has supernaturally connected me there, and it’s a joy and a delight to return as often as He directs. Yes, even when it means I “bring the weather with me” and witness the most snow Ireland has had in 40 years! However, I knew without a doubt that I was in the right place at the right time. Early on in the Prayer Assignment, the Holy Spirit spoke the word “Expansion” to me. We were in a small church in Londonderry, and our group was praying over the couple who pastor the church there. Shortly after He spoke that word to me, one of the other pastors spoke that word out loud as she was praying, a confirmation to me that this was an important word to hold on to. The Lord began to talk to me about how a gas expands when heat is applied. Gases exist in the unseen realm, just like our faith does. For expansion to occur, the heat must be present. He said, “Don’t be afraid of the heat that will come; it’s necessary for expansion.” That is not always a comfortable message to hear, but it is vital that we listen to what He is saying to us, as it is often times a word of preparation for what is just up ahead. The city of Cork was a highlight for me. Not in the way you might expect, and some might have a little trouble with me using the word “highlight” in reference to our time there. One of the pastors there brought it to our attention that the rate of suicide in the area is EXTREMELY high compared to anywhere else in Ireland. It is especially prevalent among young men who have a sense of hopelessness about life. But we, as believers, have HOPE we can share with people – the saving hope of a personal relationship with Jesus Christ. I believe this is an ongoing prayer project for me, and I would invite you to join along in praying for the people of Cork as you feel led. The reason I see this time spent in Cork as a “highlight” is because there was a revealing of God’s purpose in bringing me there – so He can use me as His mouthpiece in the earth to pray and stand against what is going on there. We are here on this earth to be yielded vessels for Him to accomplish His divine purposes. In Northern Ireland, when you see a YIELD sign, instead of saying “Yield” it simply says, “Give Way”. Someone on the trip commented that “Give Way” is a nice way of looking at how we should respond to the Holy Spirit. It conjures up an image of His gentleness that we can all benefit from being aware of. Despite the snow and the cold, we reached all of our destinations without incident, carried by the angels and protected by the Blood of Jesus. We spent time in Belfast, Londonderry, Dublin, Cork and Limerick. Each place had its own distinct purpose, but strung together, they revealed a larger plan. Not only for the nation of Ireland, but for my personal journey with the Lord. I have so much more to share, but for now I will just extend a heartfelt “THANK YOU” to everyone who prayed for our team. Your obedience to pray at the “opportune time” will be greatly rewarded! This statement has served as an anchor point for me over the past year. So often, we try to “bust through the dam” when the best way is to just keep on at a steady pace until we’ve accumulated enough “water” to open the flood gates. That is not to say that we don’t experience “suddenlies” in our life with God, but it reminds me that miracles can, and often do, happen a little at a time. Our major thrust should not be to battle all the time, but to consistently and steadily fill the reservoir until it overflows. Ireland is a special place for me. This trip marks the fifth time I will visit the Irish Isle. It truly feels like home each time I set foot on Irish soil. I have made some wonderful friends there, but even more importantly, God has chosen to give Ireland a special place in my heart. He has a purpose for me there, and an assignment for me to complete. I continue to return each time He calls, in order to walk out that purpose and be obedient to Him. I believe a significant part of this Assignment is “filling the reservoir” with prayer: building up a spiritual supply in the land so that when the time is right, the flood gates can open and the Holy Spirit can touch the people in a fresh and new way. The people of Ireland need Jesus just as much as the people of Uganda or China or India do. Even though most of them have probably been exposed to some form of “Christianity”, many of them do not know the joy and freedom that comes from having a personal relationship with Jesus Christ. They are following empty religious traditions that are leaving them with no peace or security in life. Ireland is in economic turmoil, and the people need something, or more importantly, Someone they can count on. That Someone is Jesus. He is unshakeable. This is by no means an exhaustive list. Above all, I just ask that you let the Holy Spirit lead and guide you as you pray for this mission. Unforeseen things pop up every day on mission trips, so your best Helper and Guide to accurately address these issues is the Holy Spirit. Thank you in advance for your commitment to partner with me in prayer. 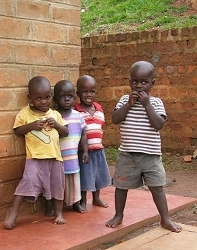 I will be traveling with a team to Uganda from September 21-30, 2010. I believe this is a breakthrough trip in many ways: for individual members of the team, for the ministry we work with in Uganda, and for the entire nation of Uganda. There are five members of our team, and five is the number of Grace, so I believe we are specifically on a mission to minister the grace of God to the people of Uganda. Five is also the number of fingers on a hand, and as such, we see ourselves working together as a fully-functioning hand. Personally, this is a “return” trip for me. A “restoration” trip. A return to Africa after a 7 year absence and a restoration of the physical ability to go to Africa. The continent of Africa holds a special place in my heart, and the Lord first called me there in 2002. This is the 4th time I will be in Africa, although it’s the first time to Uganda. After battling some serious health issues for the past 5 years, the Lord spoke to me and said now is the time for me to return. I am placing my full trust in Him as I take this step of faith. My expectations are high for what He is going to do both in me and through me. I have appreciated your prayer coverings for me as I’ve come and gone. I’ve been the one who has been a bit slow in updating you on the wonderful adventures I’ve been sent on this year. It is my determined purpose not to let updates get so far away from my return trips. What I’ve now been doing is packing my backpack as I now head to Africa. Excited as opportunities to minster keep opening up. Familiar areas with new territories to be explored. There is a village that was buried with mud. We’re going to minister to the people. It is a remote area, need to go via boat across lake Victoria and up a river. Should be a spectacular ride none the less. One of my friends told me not to put my hands over the edges as they discovered “prehistoric” fish with gnarly teeth. Not pirhana fish family… flesh eaters.. but just curious ones.. Interesting.. Don’t know if they are right or saw a bad movie! Anyway, it will also be nice to go back and see the children I was able to teach and interact with before. And visit those in the refugee camp. It will be all good! This will be a short request, but I’m asking you for your covering as I venture out with a team of eight, meeting up with missionaries who have established ministries there. Please pray for the nation… May our previously established connections be further solidified and opportunities unfold for us to minister to them. Pray for the missionaries who are currently serving in Uganda, for their ministry to continue to grow and provision to be provided. 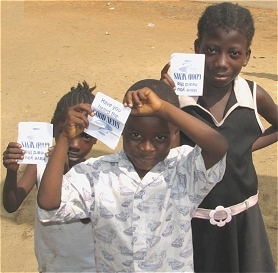 For the children… We will be ministering to six orphanages. Thank you all who gave toys, toothbrushes, toothpaste, clothes and other items for the children. Your natural gifts will be greatly appreciated in a nation where there is overwhelming lack. For protection: Keeping us safe in all of our travels, from mosquitoes (no malaria), and from any plots and plans of the enemy that will fail. For the gifts and talents and abilities of those on the team to be pulled upon in new ways. For the complete plan God has scripted for our mission to come to pass. There are a few opportunities to venture into new territories. Places we’ve not gone. So for the Spirit of the Lord to make plain and clear the path we are to walk. May the Holy Spirit of the Lord continue to be your guide and teacher in all that you do and decisions that you make. May the love of the Lord flood your hearts so you too can give out in a measure the world has not seen. With love in Christ who is the giver of life. Jennifer, one of the missionaries supported by CelebrateYourFaith.com, went on a short-term trip to the British Isles to help follow up on work done there in the past. Some of you may have joined with us in prayer for Jennifer on this trip. Here is Jennifer’s trip report and update, in her own words. 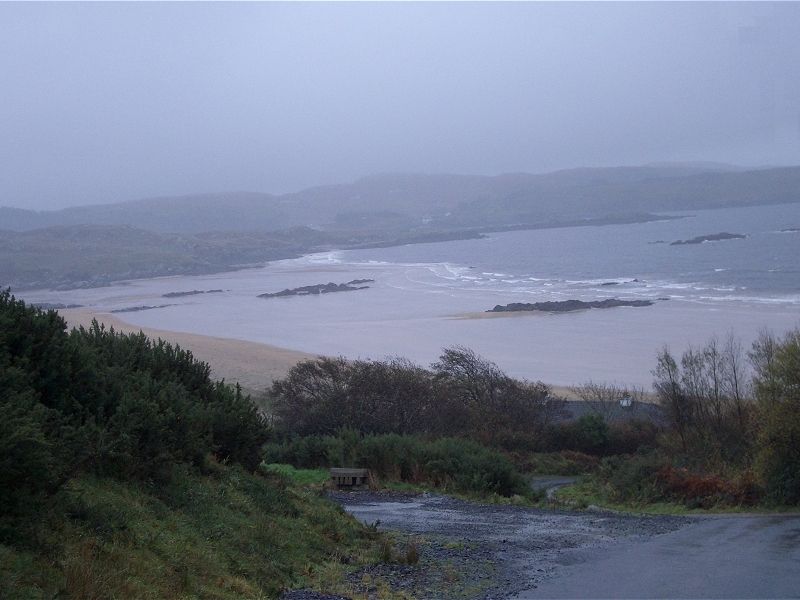 God was faithful and so good to us during our entire time in Scotland, the Hebrides Islands, and Northern Ireland. Our entire team of 32 people was composed of folks from America, Canada, Ireland (North and South), England, and we were even blessed to have a Scot along with us! There was truly a spirit of unity present amongst our team, and it was through this unified purpose that we accomplished much for the kingdom of God! We prayed in the streets of Edinburgh, right below Edinburgh Castle. We prayed and sang in our mini-busses as we drove through the Highlands. We prayed at Culloden battlefield near Inverness. We prayed on the Hebridian Island of Lewis and Harris. We prayed with a congregation of believers in Glasgow. And we had a wonderful time of worship and fellowship with our Northern Irish brothers and sisters once we left Scotland. God was able to pour much into each of us, and able to use us to pour out His love into the nation of Scotland. Prayer is a necessary precusor to everything God accomplishes in the earth. We poured our prayers into the dry ground of Scotland and we will see an abundant harvest in the weeks, months and years to come. In the Hebrides, we were able to hear from a small group of precious saints who were alive during the 1949-1952 Revival. All of them were converted either just before the Revival began, or at the very beginning of it. They spoke of the Revival as a time of great Unity, Joy and Singing. It was a time of supernatural physical health, as they would walk for miles to attend meetings and never get blisters; they would be at meetings until the early morning hours and yet have enough energy to attend to the everyday tasks of work or school. It was a time of spiritual stirring for each of us on the team. As I was leaving, I was saying goodbye to one of the precious ladies and I said to her that we had been stirred up by what they had shared with us. She said we had stirred them up, too. God always works that way – when we go somewhere to give of ourselves, we will receive an even greater harvest in return. He is the God of multiplication – He does not subtract from one to add to another, but rather He has more than enough to fill us all up to overflowing! The weather was GORGEOUS – sunny and mid-70s most of the days! Certainly atypical for Scotland! But God provided an awesome environment for us to pray, to worship Him and to experience the beauty of His creation in the Highlands and on the Islands. It also made for favorable driving conditions, as we traveled 1005 miles in 6 days, along with 4 ferry crossings! He made sure we were just where we needed to be, when we needed to be there! One thing the Lord drew my attention to was the countless sheep that we saw as we drove along the roads. I have traveled to Ireland before and you see sheep everywhere there, too, and I had never paid much attention to them before. The Lord had me watch them, and I found myself drawn to their every little move – chewing grass, running in the field, laying in the sun – and I would find delight rising in me as I watched them. I felt myself getting almost giddy as I would watch their little actions. God spoke to me and said – That’s how it is for Me with you. I delight in everything you do. It gives Me pleasure to watch you do even the most simple things. – This opened up a new dimension of God’s love to me. A lot of what I experienced is “beyond words”. This is a brief synposis of some of what happened during this Prayer Assignment. I pray that by reading this testimony, you will be stirred to pray for God to cover the earth with His Glory! For when He comes on the scene, entire communities and even nations will be changed! Reading this report made our day. We consider it an honor to serve with Jennifer and her colleagues, and we thank our customers for helping to make this work possible! Today, we thank you for your support, as we celebrate the third anniversary of CelebrateYourFaith.com. This has been the dream of our hearts; three years of learning, growing, and celebrating making a difference. Doing what we love with amazing customers and fans, beautiful artisans and their creations, and our special team of believers who work together for a great cause. When we started CelebrateYourFaith.com, we deliberately chose July 7, 2007 (7.7.07) for our grand opening, as a powerful symbolic scriptural reminder of the Great Commission (see yesterday’s post about “God’s perfection: Number 7“). All of us at CelebrateYourFaith.com are dedicated to reaching the world with the Good News of the Gospel. 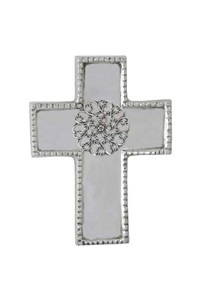 It is our heart to support mission work and missionaries with proceeds from every purchase.